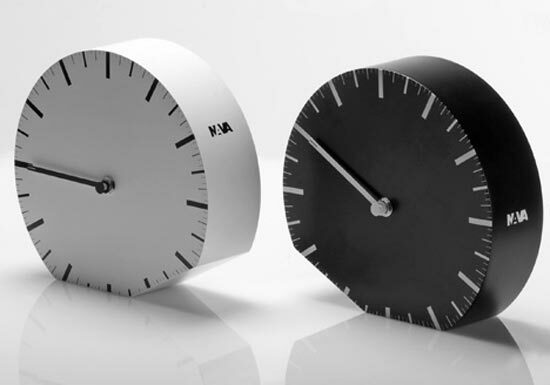 Here is an interesting clock from designer Denis Guidone, the Ora ILegale Clock. The Ora ILegale Clock is designed to get rid of the hassle of changing the time on your clock when the time changes for daylight saving time, all you have to do is tip the clock, and it is set to the correct time. The simplest ideas are always the coolest, this cool clock is due to go into production shortly, unfortunately there are no details on pricing or availability as yet.